Plant comes in 6” plastic pot. Please purchase a heat pack if the weather in your city gets below 40 degrees F. Care : Pothos are very easy plants. They are tolerant of low light conditions and erratic watering. Your biggest chore will be keeping the vines from taking over. 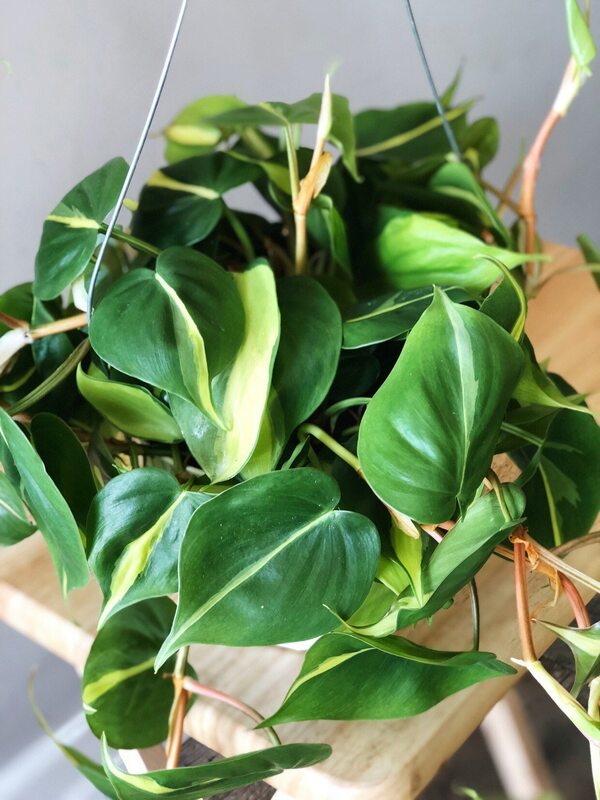 Water: Pothos like to have their soil dry out completely between waterings. This is my fourth plant from the Plant Chica, and she is amazing. Both of the plants I ordered came in great condition. She also does an incredible job at packing them. I don’t have a huge mess of soil when I take them out of the box. I’ve ordered a ton of plants online, and usually they come out of their nursery pot completely. Every time I look at her page, there are new plants that I want. 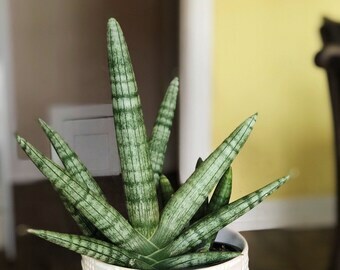 Hence my new snake plant purchase. Beautiful, beautiful, beautiful! My second purchase from this shop and still just as great of quality and the first time. Will definitely be back in the future for more! Sandra is so amazing! My plant babies came right on time and the pictures don’t even do them justice! Sandra really cares for her plants and it shows! You don’t need to go anywhere else for plants! I can’t wait to get more! Keep doing what you’re doing Sandra!